Adapt and conquer with Oakley Switchlock Technology for fast and easy lens changing so you can optimize your vision for the environment. 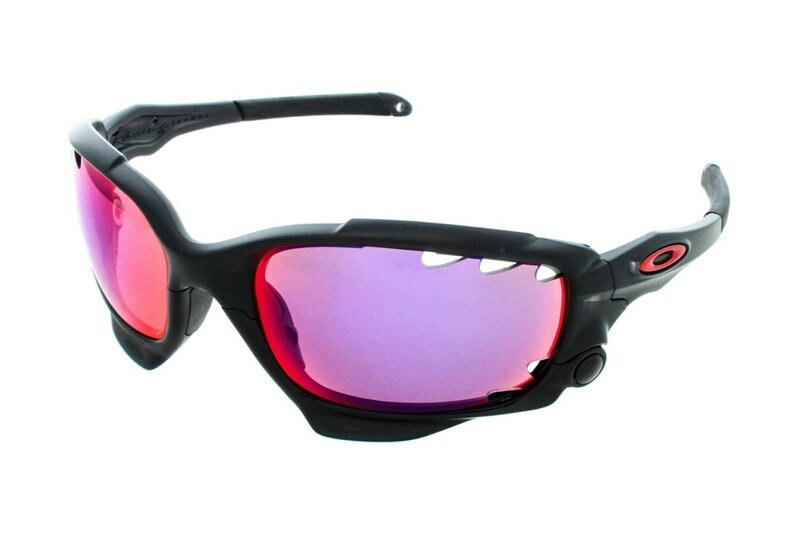 Racing Jacket takes all the clarity, convenience and comfort of Oakley Jawbone and cranks up style with icons you can change whenever the mood strikes you. And when G forces strike you, the retaining strap makes sure the frame stays put. Two sets of lenses are included one for bright light and one for low light, and youll have High Definition Optics HDO to go along with the performance comfort and protection of ultra premium sport eyewear. This is eyewear that craves the chaos of action sports, especially with protection that meets ANSI Z87.1 standards for high velocity and high mass impact. You can switch to a new lens set quickly, and while the lenses are securely mounted, there are no uneven pressures to distort the optics and mess with your view of the world. All lenses feature HDO clarity with patented innovations like XYZ Optics to keep vision sharp, all the way to the periphery. Optical performance exceeds ANSI Z87.1 standards, and with 8.75 base lens curvature, its a wide open view with superior side protection. The frame is crafted from a lightweight, stress resistant material called O Matter Our Three Point Fit maximizes comfort while holding the lenses in precise optical alignment, and Unobtainium components increase grip when you sweat.